This historical gem is located in Chadds Ford, PA. 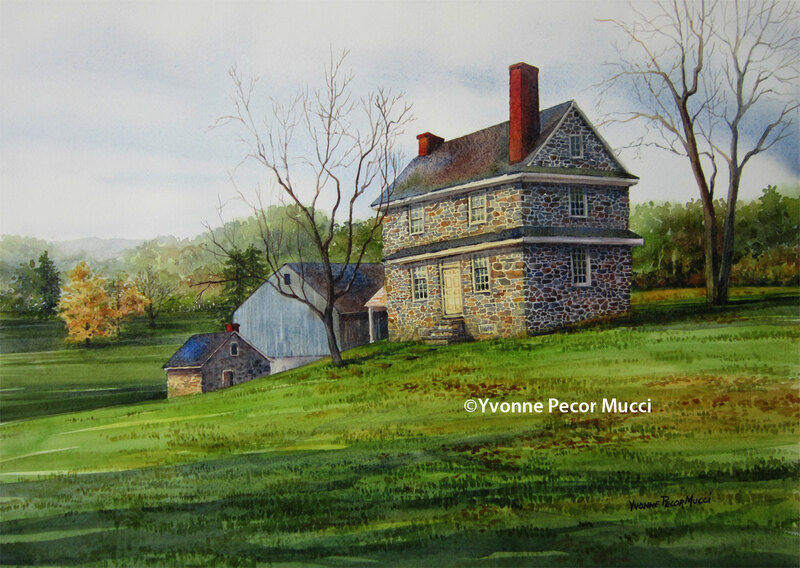 The John Chad house was built in 1725 and sits on top of a hill overlooking the Brandywine River Valley. Believe it or not, for me, the fun part of this watercolor painting was capturing the detail of the stone work. Inquiries to mucciyvonne@yahoo.com ©Yvonne Pecor Mucci. All rights reserved. Beautiful work. Those old stone houses have wonderful character, and you’ve captured it so well. The setting is wonderful as well. Looks very peaceful. Thanks! I hope you are still busy with those roses! Should be really nice when completed! Beautiful. We have been to this lovely place.